This double sided whiteboard is constructed of porcelain enameled steel. The whiteboard rotates 360 degrees and locks into place. 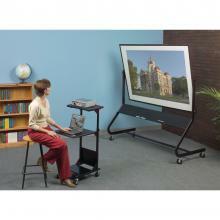 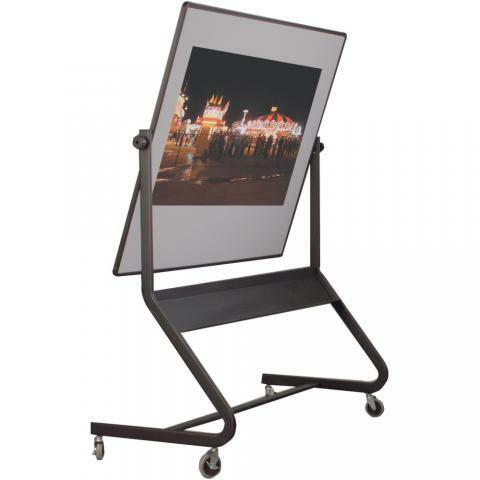 This rollable whiteboard's powder coated steel frame has a wide base design, and rolls on 3" locking casters. 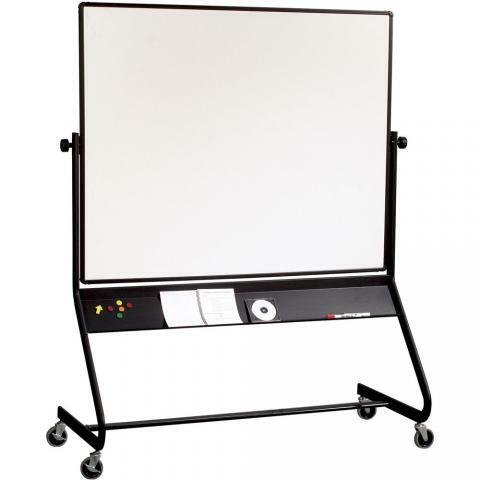 The whiteboard surface is magnetic, doubling as a magnetic bulletin board. 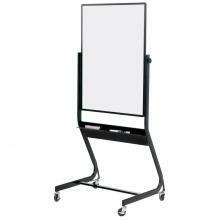 Also, included is a full length, extra deep accessory tray.